Home | What is a Good Gift for the Flower Girl? What is a Good Gift for Flower Girl? Thanks for your question, Jessie! 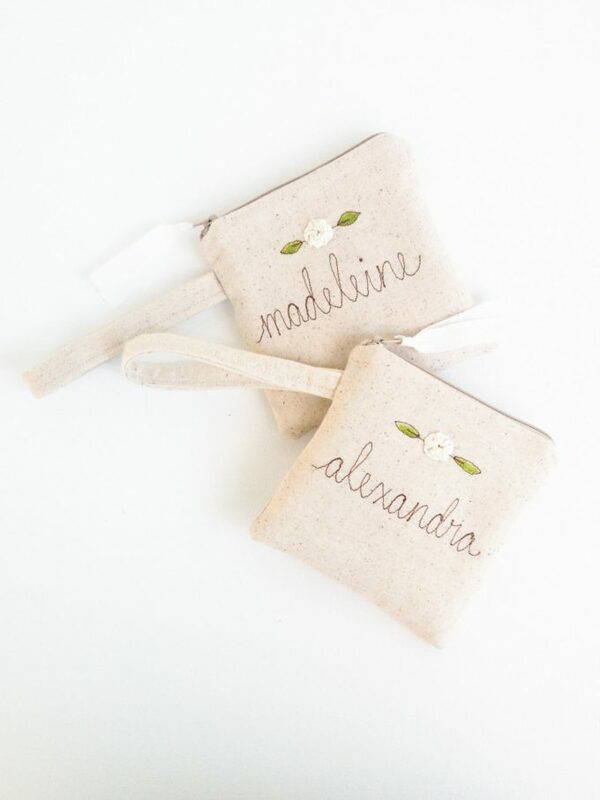 A good flower girl gift is one which is custom-made just for her and is something she can actually use. 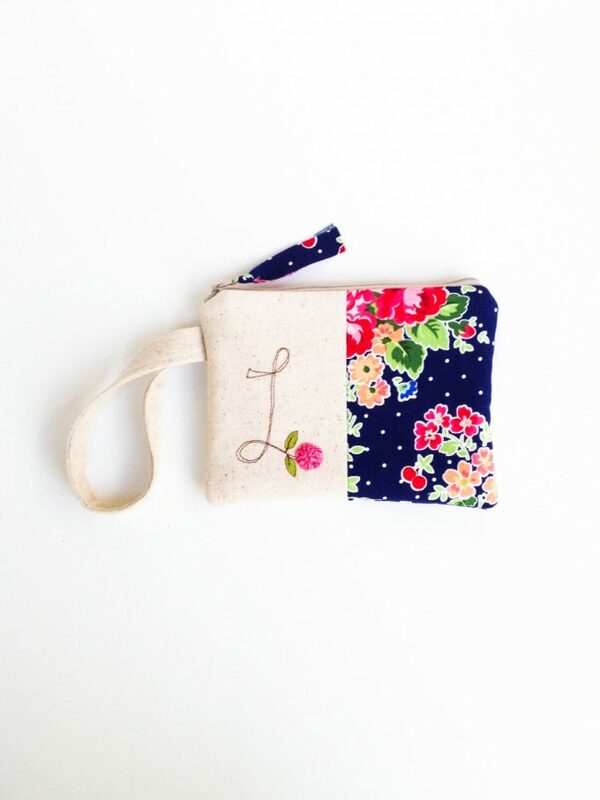 One of the best flower girl gifts we’ve ever seen is this adorable wristlet purse by Mama Blue Designs. 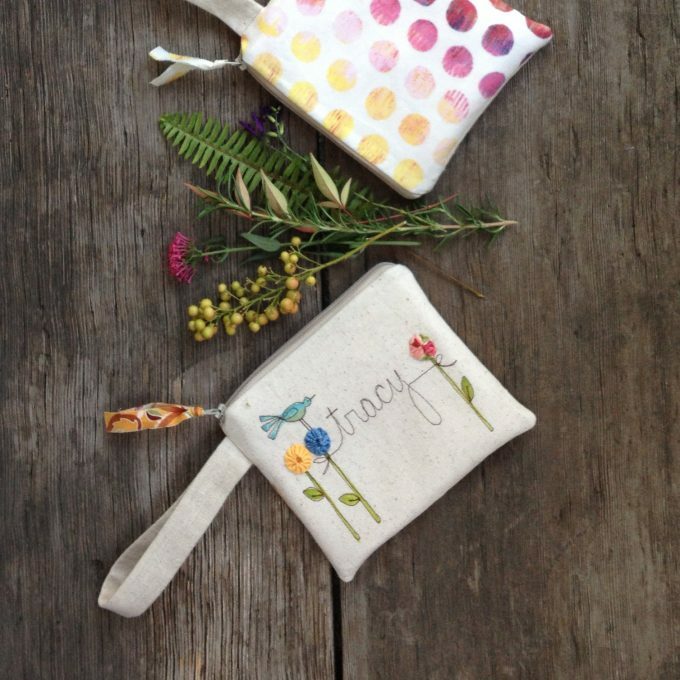 Laura lovingly handcrafts each of these wristlets, designed for tiny hands to hold, and customizes each one with her name or initial on it. 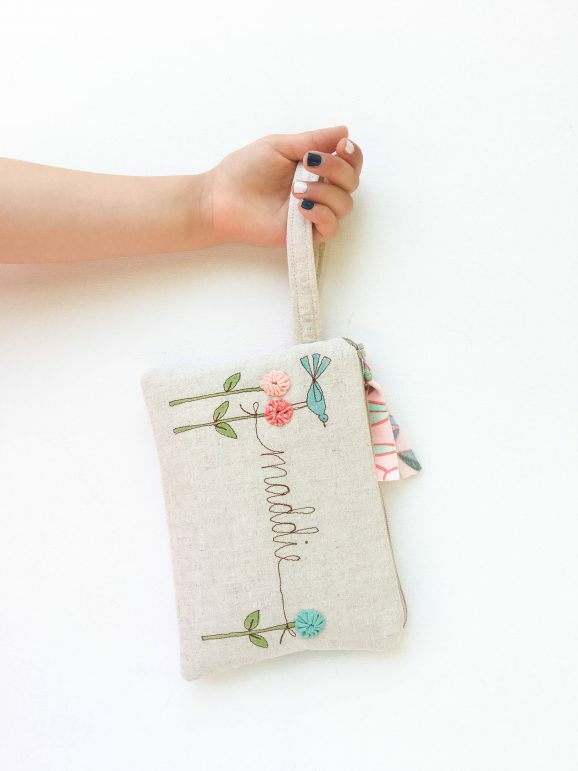 She will love seeing her name or initial personalized on the front, the bright poppy colors, flower embellishment, and decorative fabric (of your choosing), and the fact that she now has her very own purse. When I was five, I remember had a small purse of my very own and felt like such a grown up. I remember putting my “lipstick” inside, a few candies, a small toy, pocket change, and even a small notebook and mini pencil to carry around. 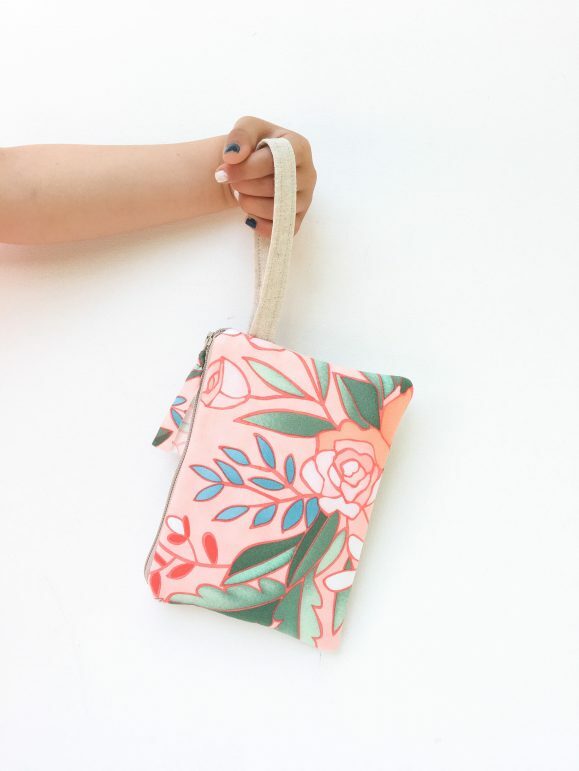 Your flower girl will love having a purse of her very own. RELATED: Do Flower Girl Dresses Have to Match? Cute, am I right? 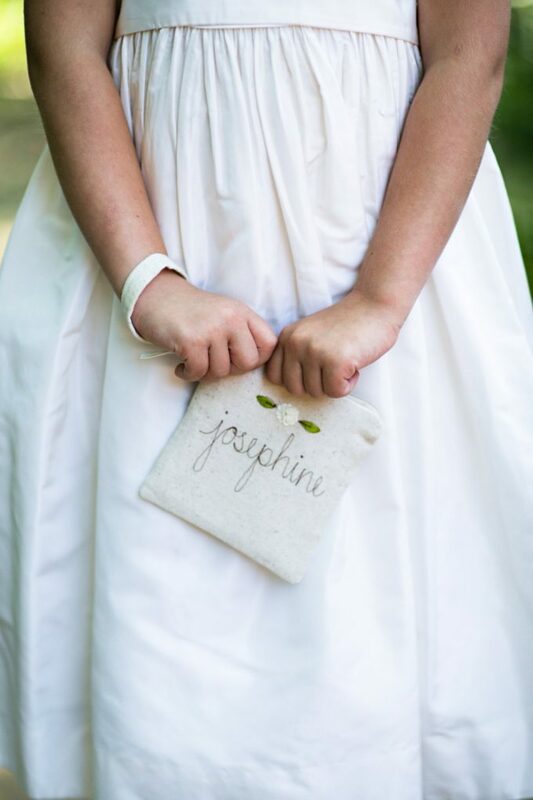 I couldn’t wait to share these flower girl wristlets the second I saw them. Thanks for writing, Jessie! To everyone, please leave a comment below if you have any questions or comments. We’d love to hear ’em. To get one of these purses for your flower girl, visit Mama Bleu Designs. Laura, shop owner and designer, is simply wonderful to work with. You will love working with her on a custom order! 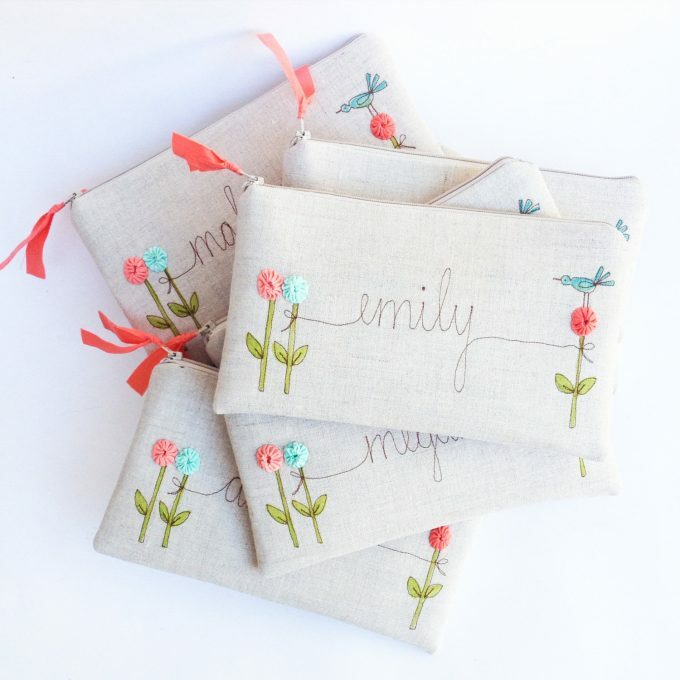 ♥ Mama Blue Designs is a Featured Artist in The Marketplace at Emmaline Bride. P.S. Now that you know what is a good gift for flower girl / junior bridesmaids, find out what makes a good gift for the ring bearer!